On the destruction of impurity through the practice of the limbs of Yoga, there emerges the Light of Knowledge culminating in discriminative (viveka) knowledge. Yama, Niyama, Āsana, Prāṇāyāma, Pratyāhāra, Dhāraṇā, Dhyāna and Samādhi (samādhayaḥ) are the eight limbs –aṅga– of Yoga. The first International Yoga Day, 21st June, 2015 is a remarkable historical day, it is a day to be proud of our culture, our heritage, which is now gifted to the world in form of Yoga. Thanks to the Prime Minister Shri Narendra Modi’s efforts at global level, the whole world will not only perform but enthusiastically celebrate Yoga. 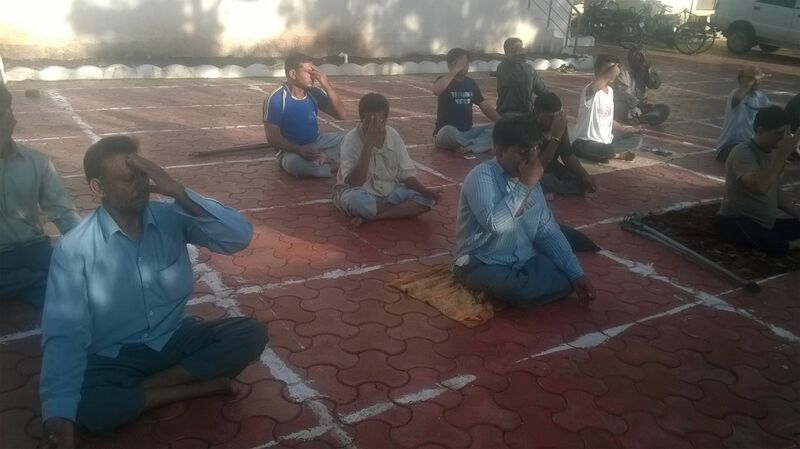 When the whole world is celebrating International Yoga Day, how can our Specially Abled People leg behind? Our sincere thanks to the special efforts taken by Shri R.J. Makadiya (District Collector), and the D.D.O., this wonderful practice of Yoga was celebrated with the Specially Abled People of Khambhaliya along with the Govt. employees in Khambhaliya. Special efforts taken by our Jam-Khmabhaliya voiceofsap team, led by Shri Chadrashekhar ji has yielded good results and done an unique thing, by making so called “Disabled” people perform Yoga. We salute their special efforts and the spirit of bringing Specially Abled People into the main stream. Volunteers of VoSAP worked in several cities like Indore, Bangalore, Shimla, Trichi etc. for inspiring our SAP friends join YOGA event today and start practicing Yoga on daily basis for a healthier life style. 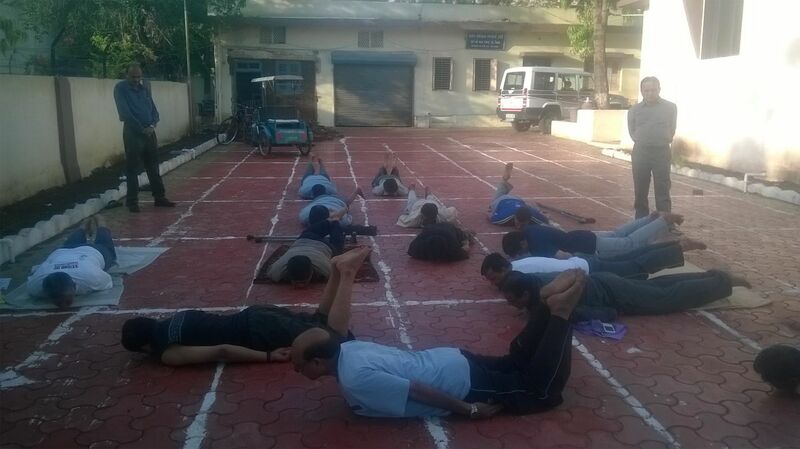 Our Volunteer Abha ji from Delhi has published a nice blog post on Yoga and Disability. You can read it at http://abhakhetarpal.in/blog/yoga-and-disability. We hope, all the SAP of India and the world will follow the suit and get benefited through this wonderful practice of Yoga.